Transnational Corporation Chairman Ndi Okereke-Onyiuke and five top officials including the Managing Director of the company Nick Okoro were grilled by operatives of the Economic and Financial Crimes Commission (EFCC) yesterday and later released after they pledged commitment to repay over N37 billion owed Intercontinental Bank and Union Bank. Other directors quizzed include Nicholas Okoye, Anthony Ofili, Adegboyega Olulade and Mohammed Nasir Umar. They faced investigators mobilising the recovery of debts for the five troubled banks at the office of the commission in Lagos. On the list of debtors released by the Central Bank of Nigeria (CBN) indebted to the five troubled banks, Transnational Corporation owes Union Bank N30.863 billion and Intercontinental Bank N6.6 billion. Earlier, Okereke-Onyiuke explained that the debt was a corporate one and that she does not owe any bank both within and outside the country. According to her, a consortium of banks had borrowed the corporation some money for the acquisition of 51% stake in the Nigerian Telecommunications Limited (NITEL) in 2006 when the company was put on sale. She said Transcorp floated an Initial Public Offer (IPO) and raised N22 billion but later offset part of the debt with N19 billion. EFCC spokesman Femi Babafemi confirmed that all top officials including Okereke-Onyiuke honoured the invitations extended to them and said, “They have pledged commitment to pay.” Before yesterday's EFCC intervention, the Securities and Exchange Commission (SEC) had issued a query to the Director General of the Nigerian Stock Exchange to explain the circumstances under which a company that she chaired appeared on the list of those with non-performing loans given the sensitive nature of her job. In her response, Okereke-Onyiuke explained that the loan was a corporate loan taken by Transcorp for the acquisition of 51 per cent equity in NITEL. 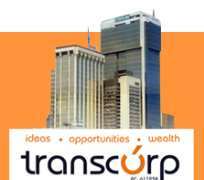 Transcorp now awaits the sale of NITEL by the Federal Government for refund of the money deployed to purchase its 51 per cent stake. This may happen in two months time following a directive by the Presidency to the interim Board of NITEL to ensure its sale in 60 days. In another development, former Governor of Rivers State Dr. Peter Odili who was also invited by EFCC failed to show up. Dr. Odili who initially owed Finbank N189million but paid N75million obtained a court order from the Federal High Court in Abuja on September 3, restraining EFCC from arresting, detaining, prosecuting or embarrassing him over his debt. As at the close of work on Monday, the anti-graft agency had recovered over N70billion for the banks. The biggest recovery last week came from Chairman of Zenon Oil and CEO, African Petroleum, Femi Otedola last week who paid N3 billion to Afribank Plc.